Welcome to the official website of the paper: "Effective Teamwork in online Games" by Tobias M. Baumann. On the following links and pages you will find all the information you will ever need about the author, the subject and of course, the paper itself. Download, read and redistribute the study here. If you want you can click on the table of contents to read them. Find out everything you ever wanted to know about the guy who wrote all this. What he is doing right now and where he want's to go. You think this study deserves some money? Feel free to make a donation via PayPal. See who else donated. 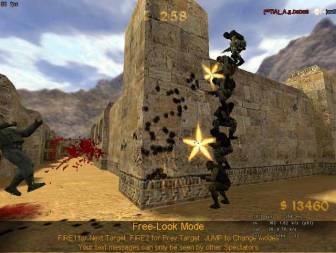 Read all about teamwork in multiplayer games here. See what other articles, games, links, etc. there are on the subject. Here you can find all press-related material such as news-articles and postings about this paper. Vote your opinion about the study and see what other people think about it.